Are Social Secuity Repayments Tax Deductible? Social Security repayments are deductible, with some limits and conditions. Believe it or not, as a big federal agency, Social Security can make mistakes, and in some cases, will claim an overpayment of benefits. If you're returning money to Social Security, voluntarily or not, you will have a little extra tax accounting on your hands. Fortunately, you can get on a Social Security disability overpayment payment plan. The IRS wants you to make an adjustment to any benefits you received, for the purpose of figuring the rate of income tax you may owe on those benefits. Social Security repayments are tax deductible, if you paid more than you received. However, they are deductible only to the extent of offsetting net positive benefit you received from a previous year. If you're receiving Social Security benefits, the amounts you took in and/or repaid appear on Form 1099-SSA, which arrives in the mail in January for the previous year. The payments appear in Box 3, the repayments in Box 4 and the net amount in Box 5. 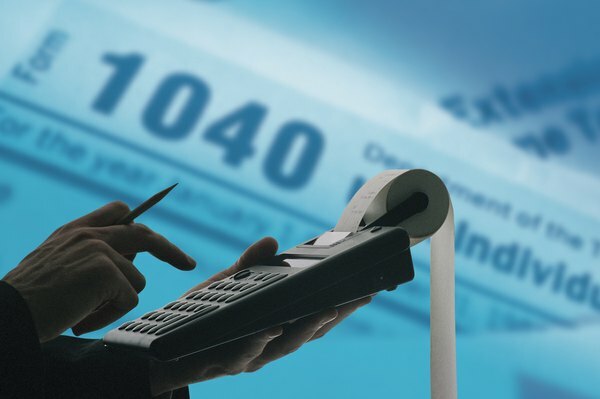 This last number is the one used to make the income tax calculation; your benefits may be taxable depending on your filing status and the amount of other income you've earned. If the amount in Box 5 is less than $3,000, the IRS notes that it cannot be deducted because it is now considered a miscellaneous itemized deduction. Thanks to the Tax Cuts and Jobs Act that went into effect for the 2018 tax year, miscellaneous deductions are no longer. If you have been paying back Social Security disability benefits, and have paid more than you received, then you have a negative net benefit from Social Security. That means you pay no income tax on the benefits you received. If you're filing a joint return, and both you and your spouse received the 1099, then you combine the net amounts showing in the two Box 5's. If the result is a negative, again, you will not be taxed on any of your Social Security benefits. If your net benefit is negative in Box 5, you can take an itemized deduction, but only to offset a net positive benefit from a previous year. For instance, if you received $2,000 in Social Security benefits in 2017, then you would only be able to deduct $2,000 of a negative net benefit in 2018 (or following years). It is a good idea to consult with a qualified tax professional to assist you in taking the proper deductions for your net positive benefits. For tax year 2017, you take the Social Security repayment deduction on Line 23 of Schedule A, which lists itemized deductions that can be subtracted from your adjusted gross income. This rather obscure deduction is not broken down on the form; it simply comes under "Certain Miscellaneous Deductions." You must list the type and amount of each miscellaneous deduction using an attached sheet if necessary. Miscellaneous deductions, when combined, must be greater than 2 percent of your adjusted gross income to be deductible. What If I Gave the Wrong Mileage on My Tax Return by Accident?